Newly renovated the cottage has been sympathetically restored to reflect the period whilst offering every modern convenience and high standard of decoration and furnishings. 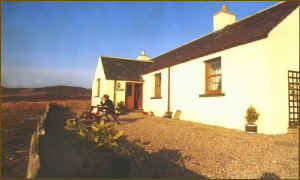 A traditional cottage situated at the base of Ben Dorrery with uninterrupted views of the Flow Country in Caithness. Torran is an excellent location for a holiday in a unique and timeless surroundings and will suit the birdwatcher, walker, botanist and anyone who appreciates the natural environment and wildlife. Free from distractions and in a secluded position. An ideal base for touring Caithness, Sutherland and day trips to the Orkney Isles.